Login Now - It's free! This free service is a unique, must have, companion service for any car owner in the UK. KnowYourCar is a car lookup service that in an instant provides detailed information on any car in the UK. Just type in a registration number and see the complete details of the car and current legal status. Get Notifications when something important is due. 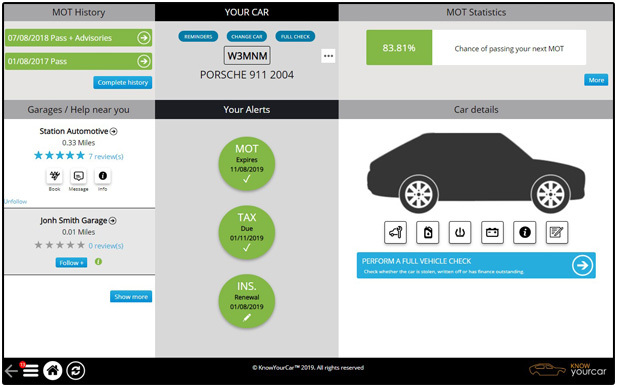 Get an idea of how likely your car is going to pass its next MOT. Get recommendations on the best garages near you. We're UK based and your privacy is our main priority. Which means we don't spam you, share data outside the app or store information we don't need. Any notifications you get are at your total control. The app gives all the help and information you need to know about your car. From MOT, TAX and insurance status, to recommended service items and help from recommended garages nearest to you. 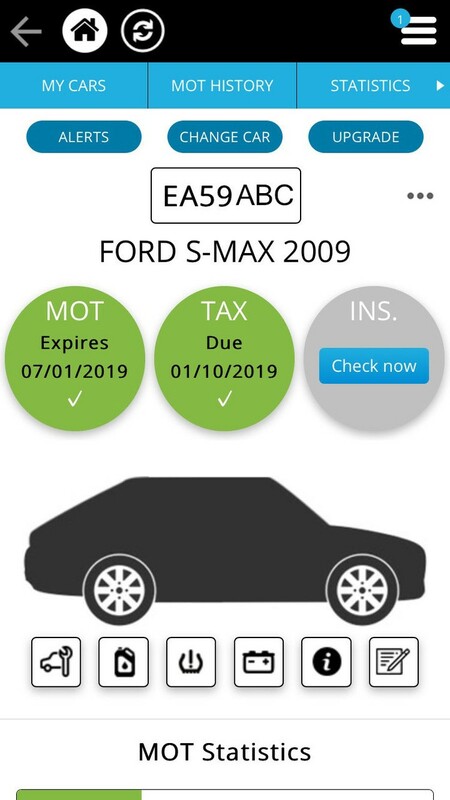 Simply type in your registration and we’ll show you all the important information for your car. It's now simple to "know your car" no matter what your knowledge level of cars!